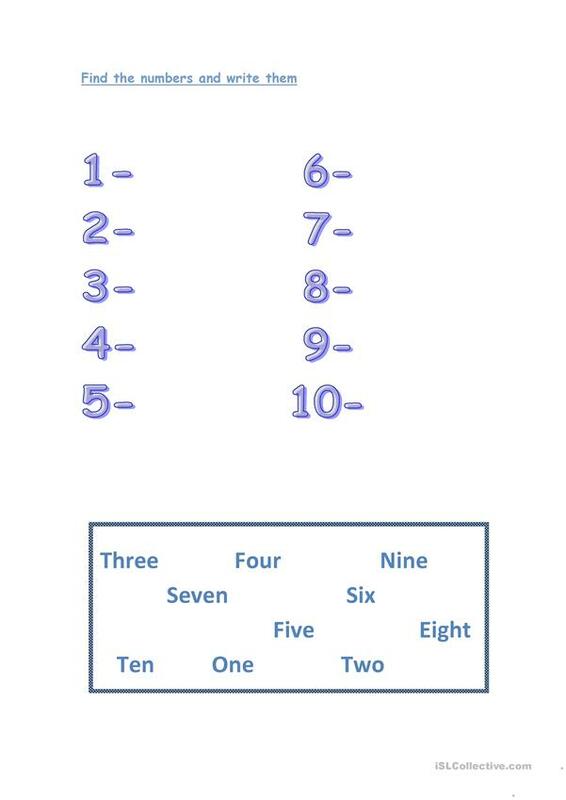 This is a easy worksheet about numbers from 1 to 20. 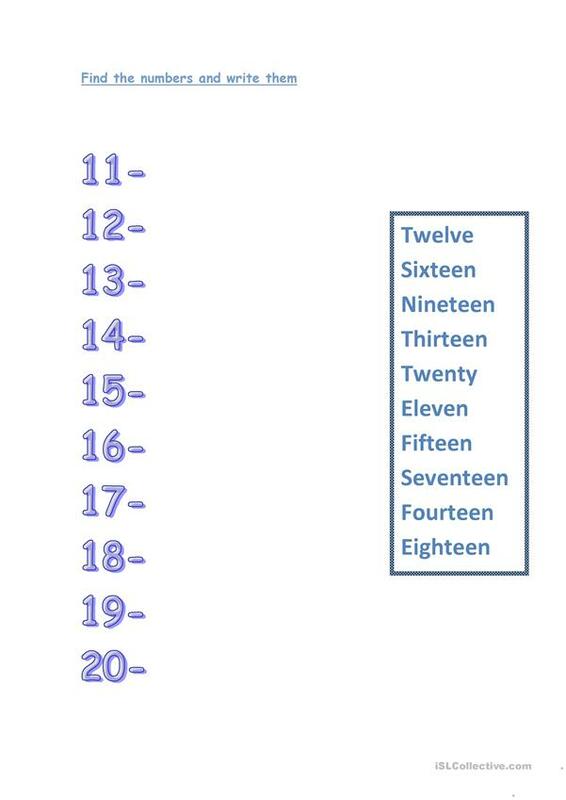 Students should find the numbers and write them correctly. It´s a good way to practice the numbers when they start learn and write them. You can use it like a listening exercise if you want. The present printable, downloadable handout is a great resource for elementary school students at Beginner (pre-A1) and Elementary (A1) level. It is great for practising Numbers: Ordinal numbers in English, and is a valuable material for developing your students' Listening and Writing skills. It features the vocabulary topic of Numbers.